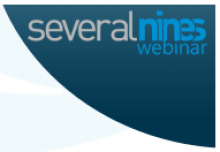 Thanks to everyone who joined us for our recent live webinar on ‘ClusterControl 1.2.11 - new release’ led by Art van Scheppingen , Senior Support Engineer at Severalnines. The replay and slides to the webinar are now available to watch and read online via the links below. 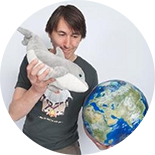 During this live webinar, Art demonstrated the latest ClusterControl release and its new features such as support for MariaDB’s MaxScale and related MySQL updates; this is also the best ClusterControl release for PostgreSQL yet. In fact, and during a live demo, Art not only introduced the new features, but also proceeded to deploy MongoDB, PostgreSQL, MySQL clusters and replicated setups as well as MariaDB’s MaxScale proxy all in the one session and the one ClusterControl instance - within 40min! Impressive stuff, which can be viewed again in this recording!